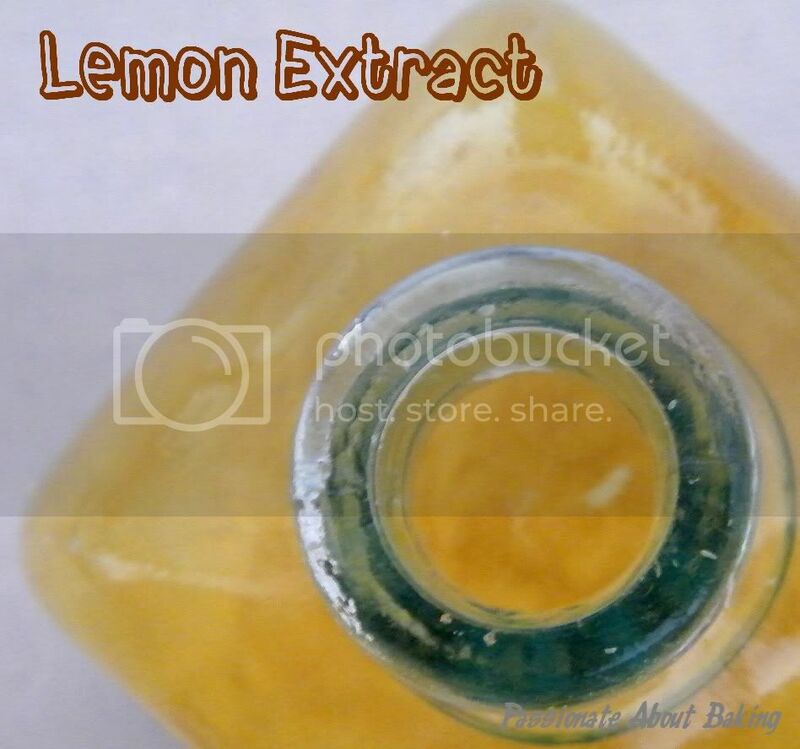 Naturally when you make your own Lemon Extract, you will have make... Orange Extract too! Prepare a clean small bottle with cork stopper. Put the zest into the clean bottle. Pour the vodka into the bottle. 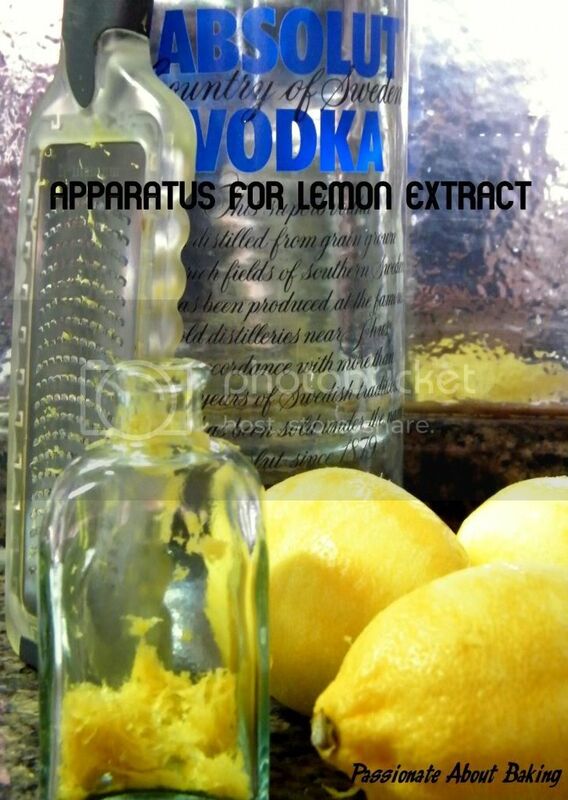 Make sure that all the zest are submerged in vodka. Store for at least 1 week before using. I am experimenting another extract. 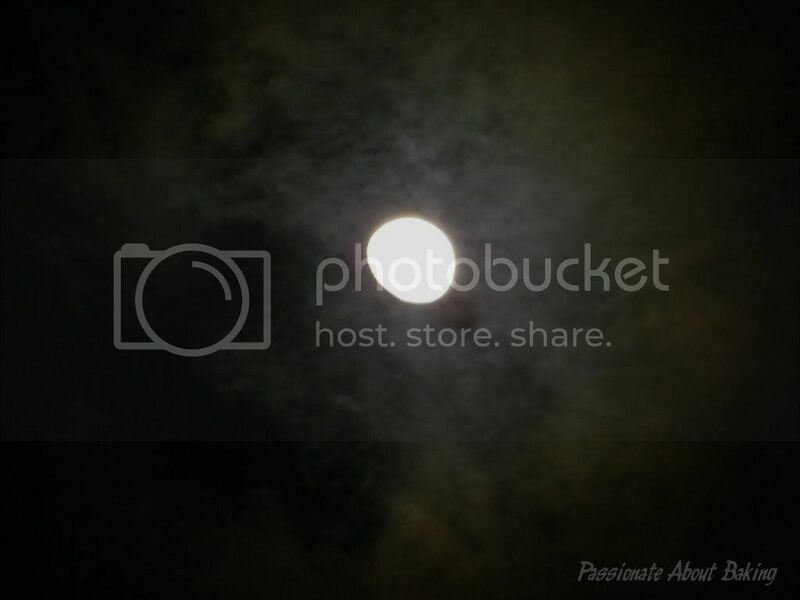 If it's successful, I'll share with you... Meanwhile, stay tuned. When blueberries go on sale, what do bakers do? 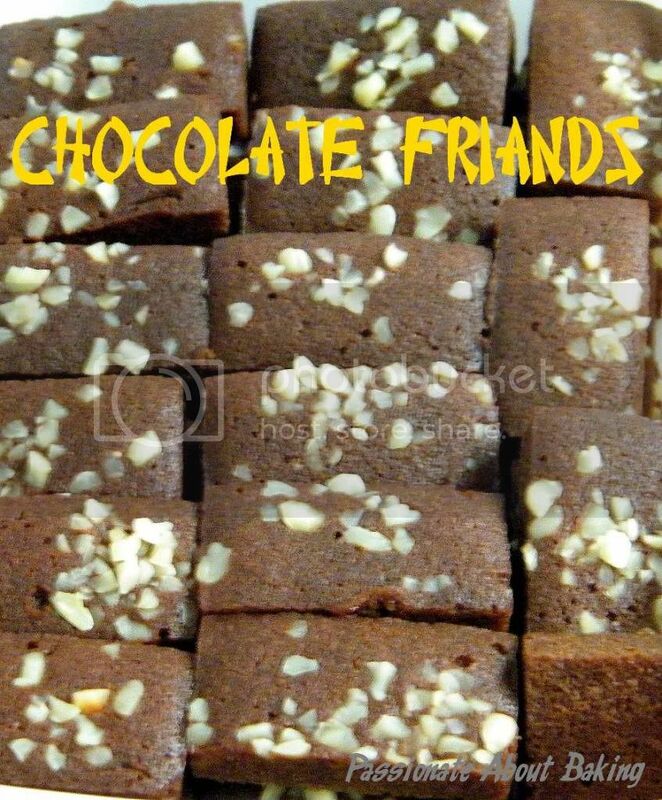 Buy them in abundance, then decide what to bake with them! Hahaha... This was what I did last weekend. 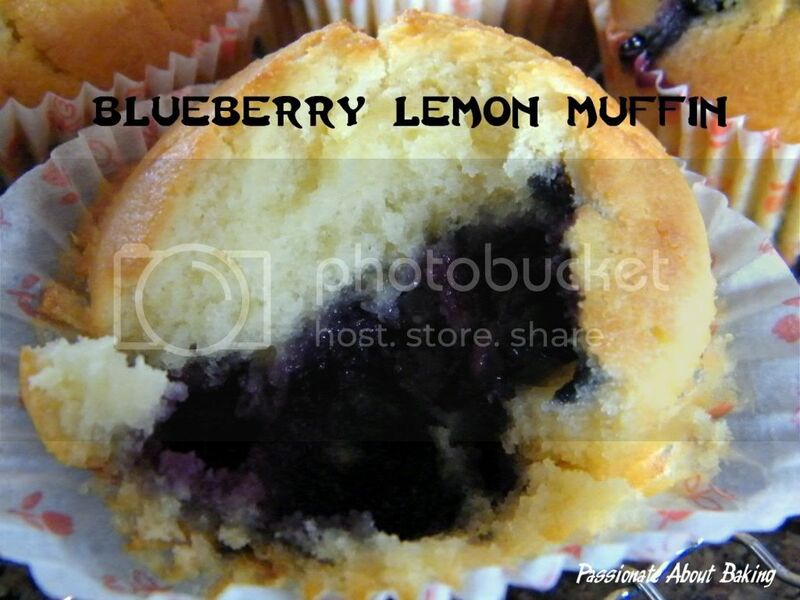 Besides baking blueberry chiffon cake, I also baked Blueberry Lemon Muffins. 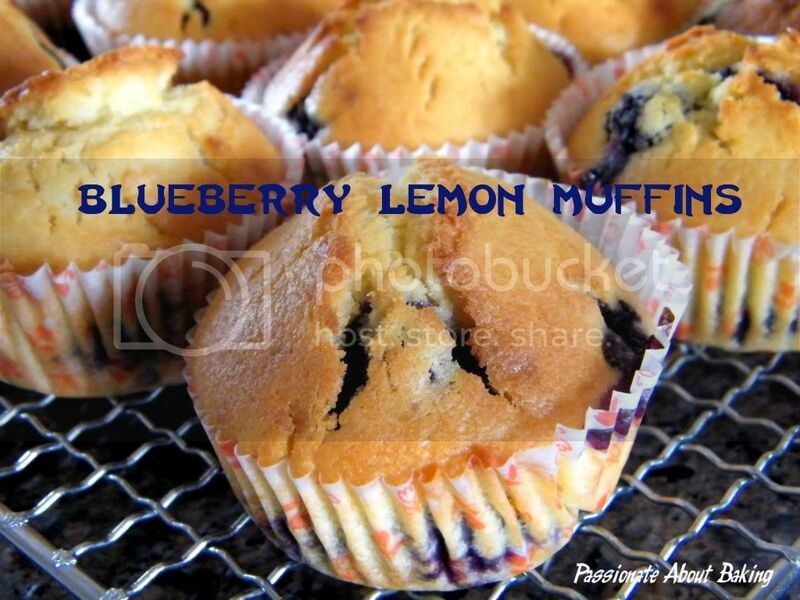 Recipe for Blueberry Lemon Muffins, modified from "500 Cupcakes & Muffins" by Fergal Connolly. In a mixing bowl fitted with K-beater, beat butter with sugar. Add eggs one at time, mix till incorporated. 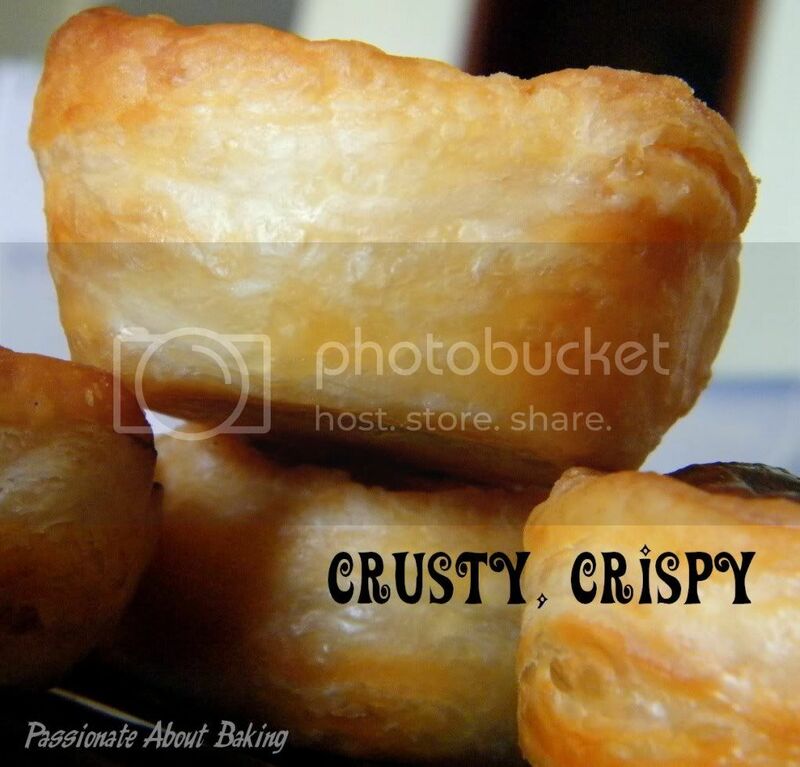 Add sifted flour and baking powder, alternate with milk, ending with flour. 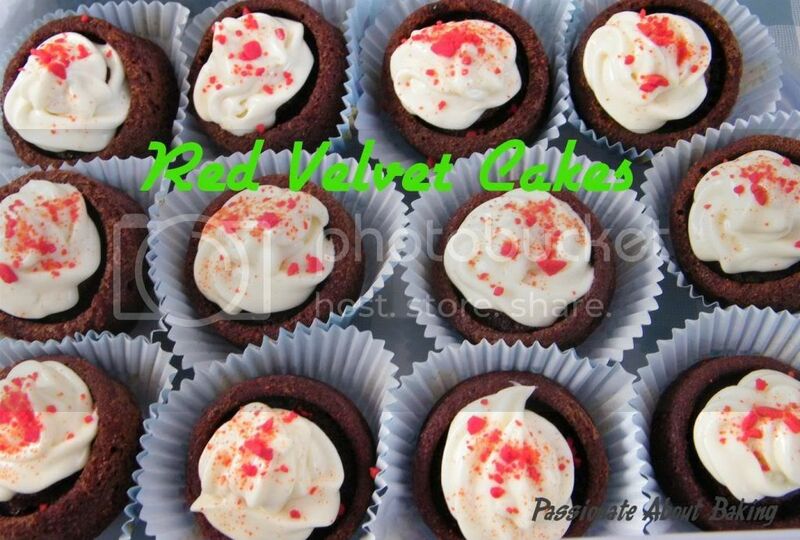 Spoon them into prepared cupcake papers. 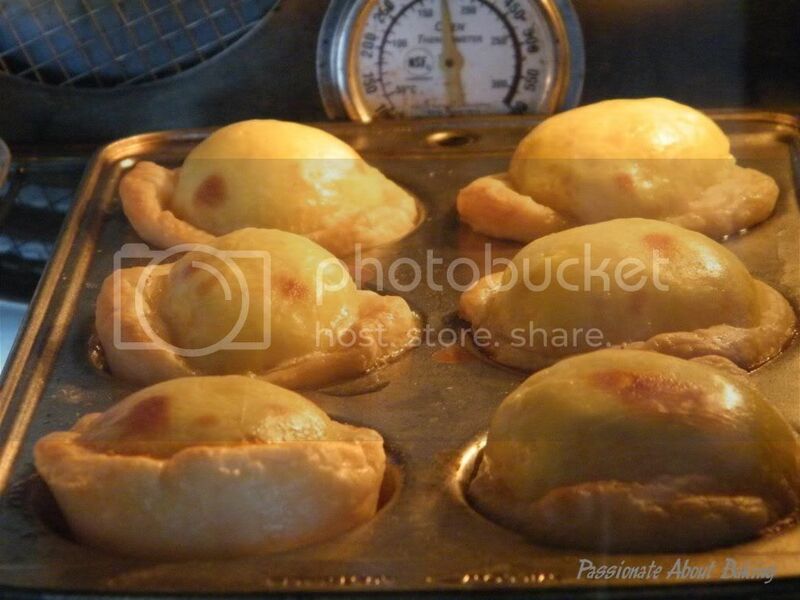 Bake at 180C for 22mins, or until golden brown. Remove muffins from the tray and served hot. I used my homemade lemon extract and found that the lemon smell wasn't too prominent. I will add 2 tsps in future. I'm hooked. Hooked on making my own extracts! Since I first made my Madagascar Vanilla Extract, I've been making them on and off, trying to use up my vanilla beans! I have enough Vanilla Extract to last me a lifetime!! 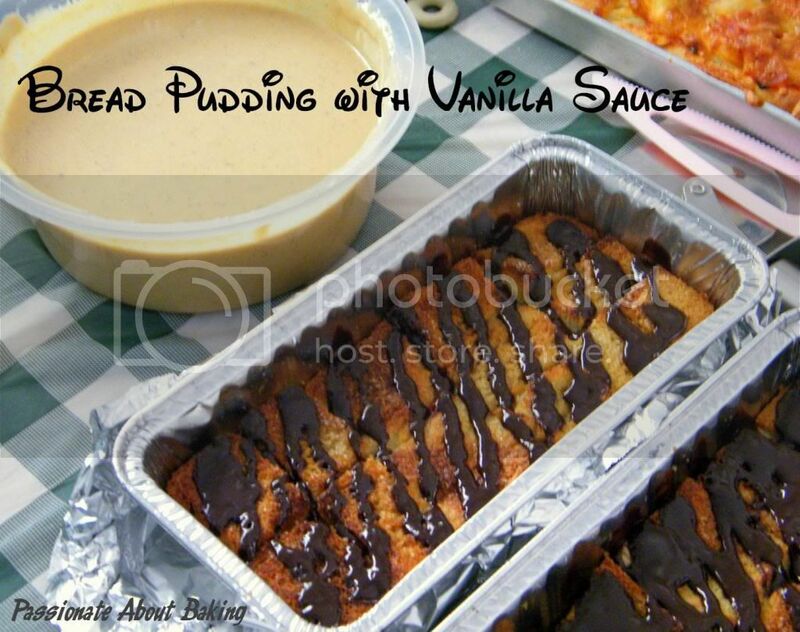 I still have some vanilla beans in my freezer, keeping them well and secretly. 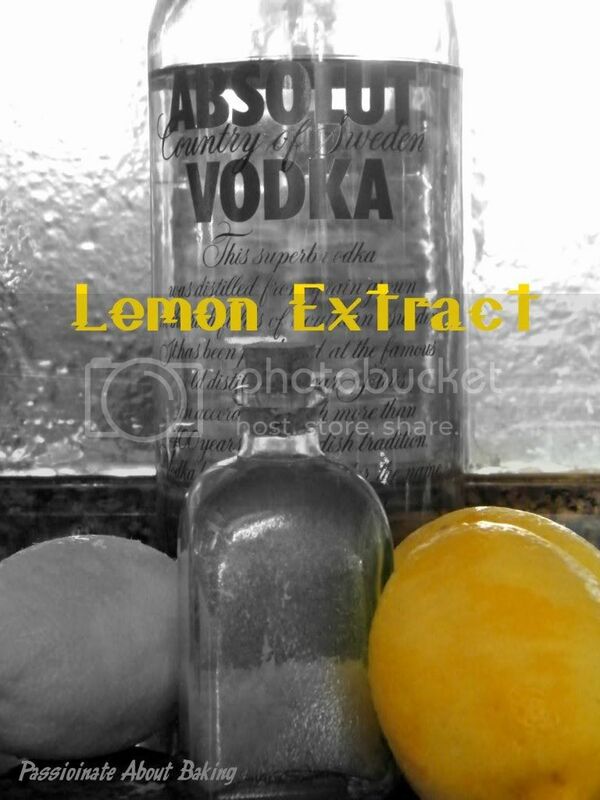 Using the same method as I made my vanilla extracts, I made a small bottle of lemon extract. Store for at least 2 weeks before using. 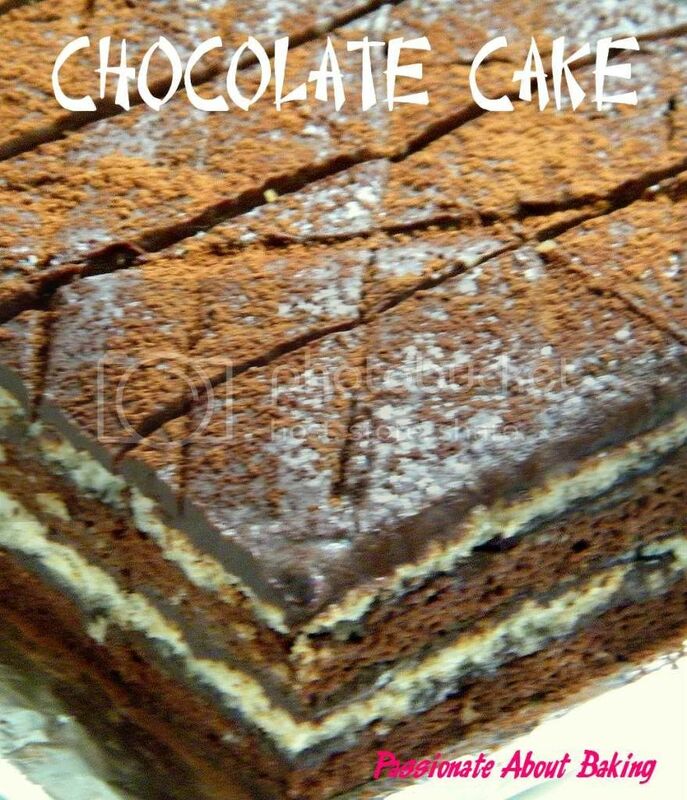 You may refer to another recipe here. So are you convinced of making your own extract now? When Edith first mentioned about Heritage Food Trail, I thought it was a good idea to learn more about my heritage foods. 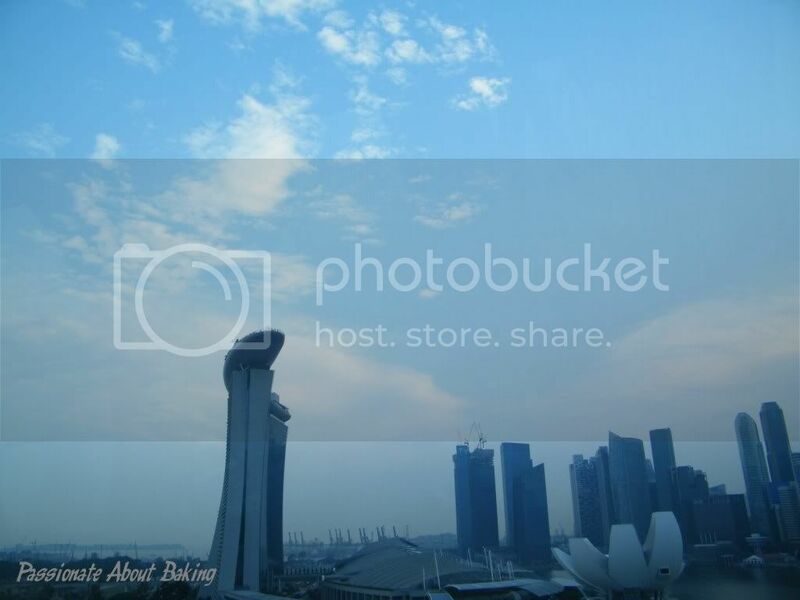 By the way, I'm a true blue Hokkien. However, I only know how to eat and don't really know how to make my own dialect foods. As far as I know, both sides of my grandparents came from China. The Hokkien group which I belong to is known as "Ang Kui". Both of my parents are of Hokkien heritage too! When I married my husband, I learnt from my parents in law that they belonged to this same group too! However, when it comes to speaking Hokkien, I'm not as proficient as my husband. 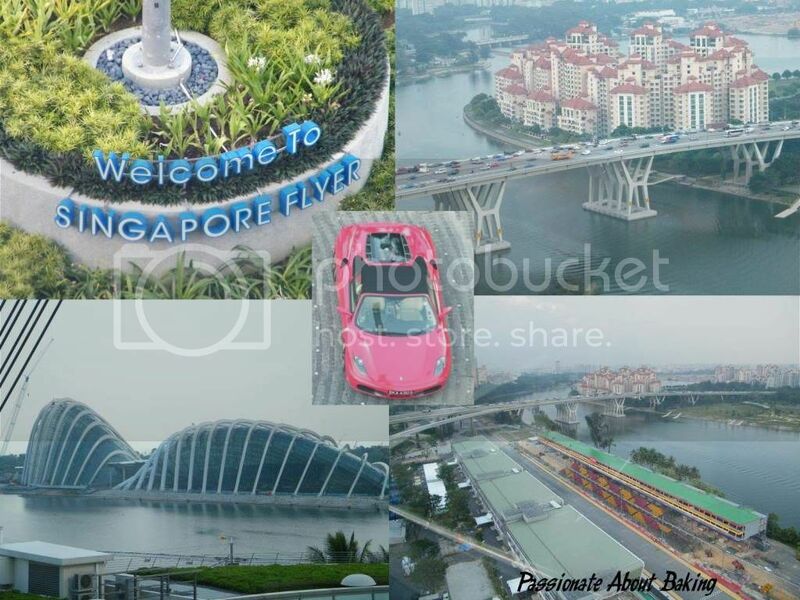 Many times, when my parents-in-laws and my spouse spoke Hokkien, I'll give them a blank look! When I was younger, my parents spoke to us in Hokkien and Mandarin. Therefore, I didn't get to learn Hokkien dialect as much as I have to. It was just enough to converse with them and the elderly. 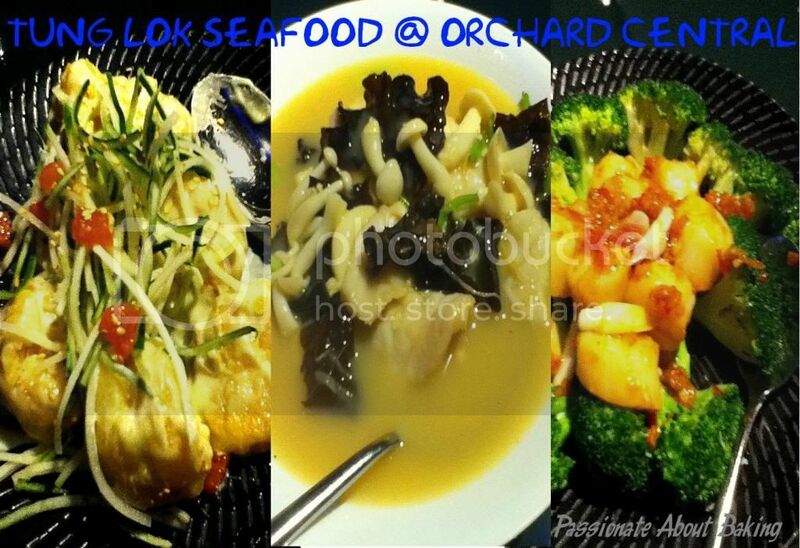 Hokkien dialect has a wide variety of foods, ranging from the most popular Hokkien Mee, Lor Mee, Prawn Rolls to Ang Ku Kuehs. 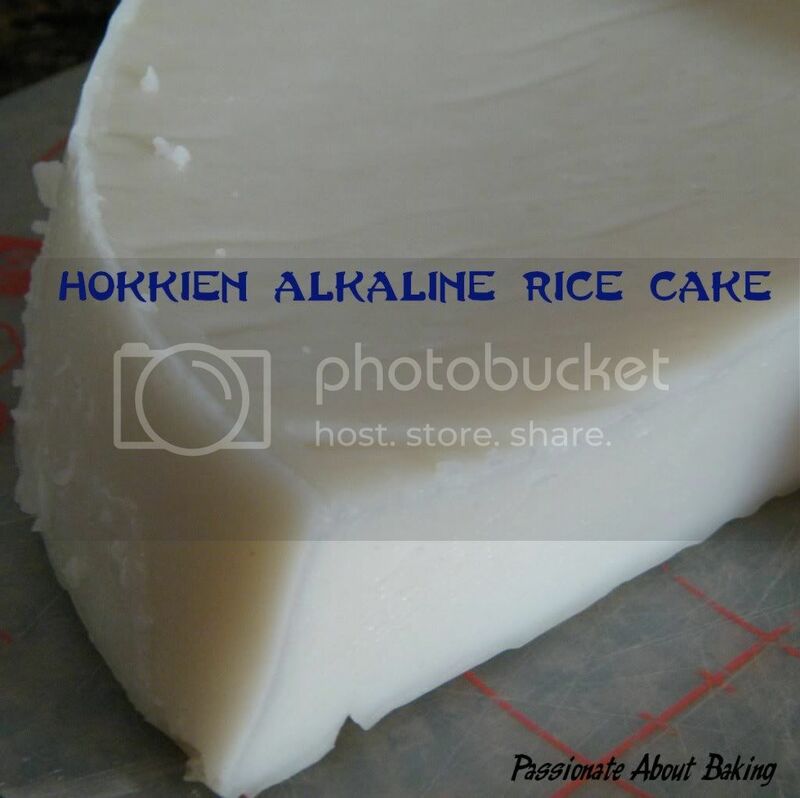 As I didn't have the time to prepare these delicious Hokkien dishes, I decided on making Hokkien Alkaline Rice Cake instead. I will be submitting this to Precious Moments' Heritage Food Trail. 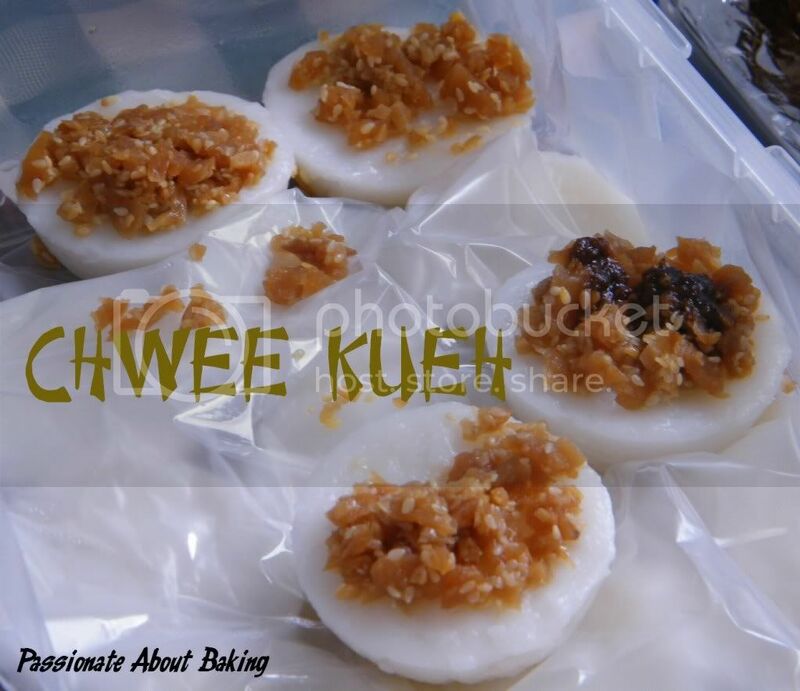 Recipe for Hokkien Alkaline Rice Cake, extracted from "Delightful Snacks & Dim Sum" by Agnes Chang. 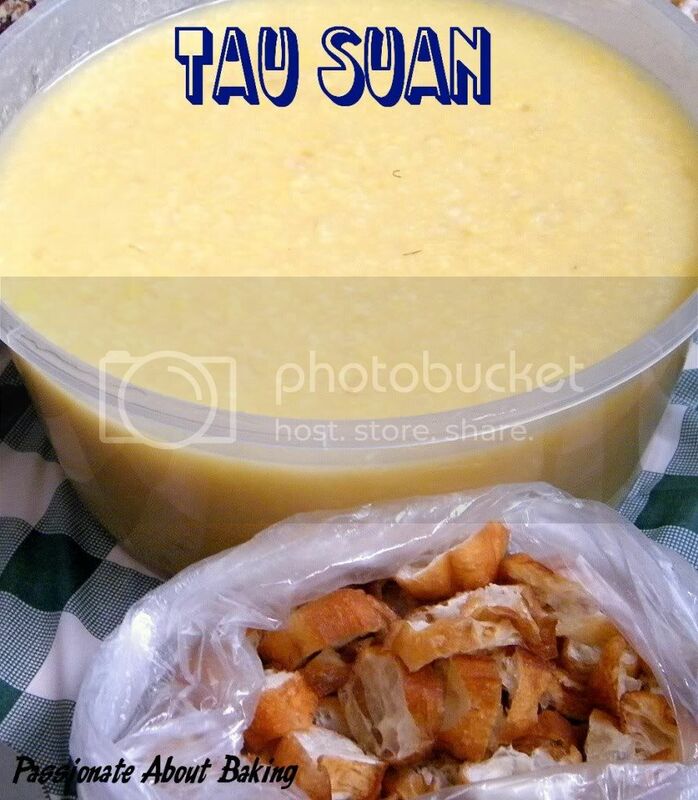 Mix rice flour, corn flour and water together in a saucepan. Stir well to mix. Add alkaline water, salt and oil. Stir well. Cook over medium heat until half cooked. 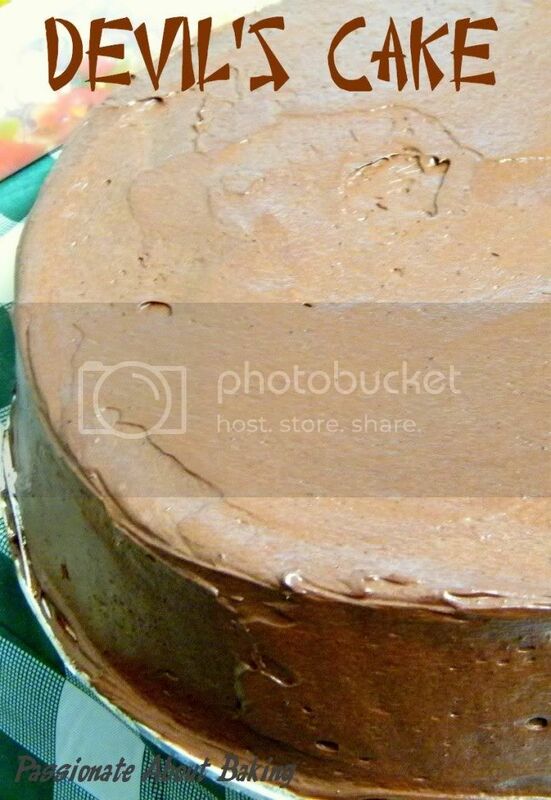 Pour the batter into a greased 9" round steaming tray (or cake pan). Steam on high heat for about 45mins until cooked. 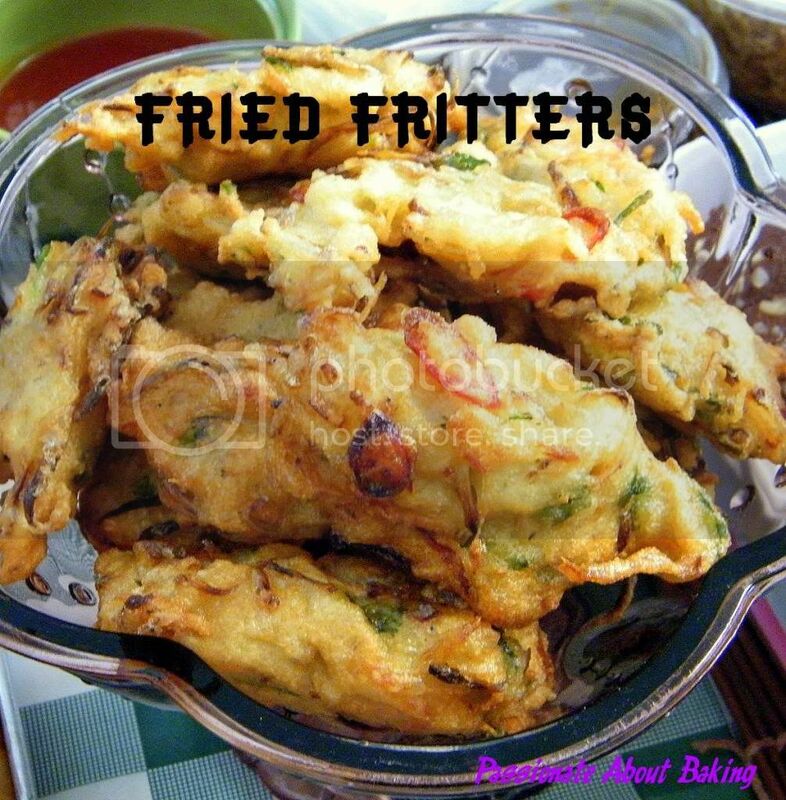 Best to serve with stewed meat gravy. 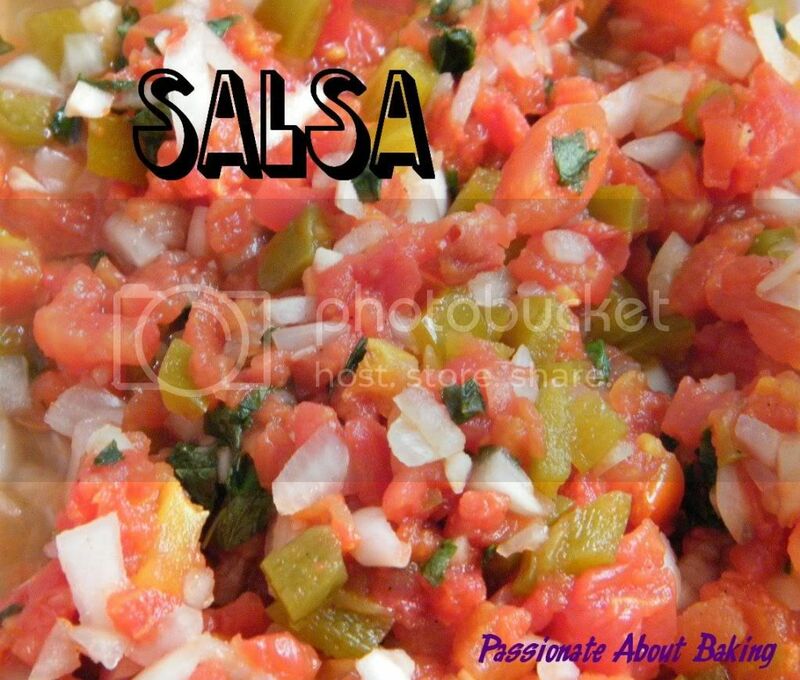 Or served with any other salty sauce. For step #1 above, you may strained the mixture if you like. I strained and found that the step was unnecessary. 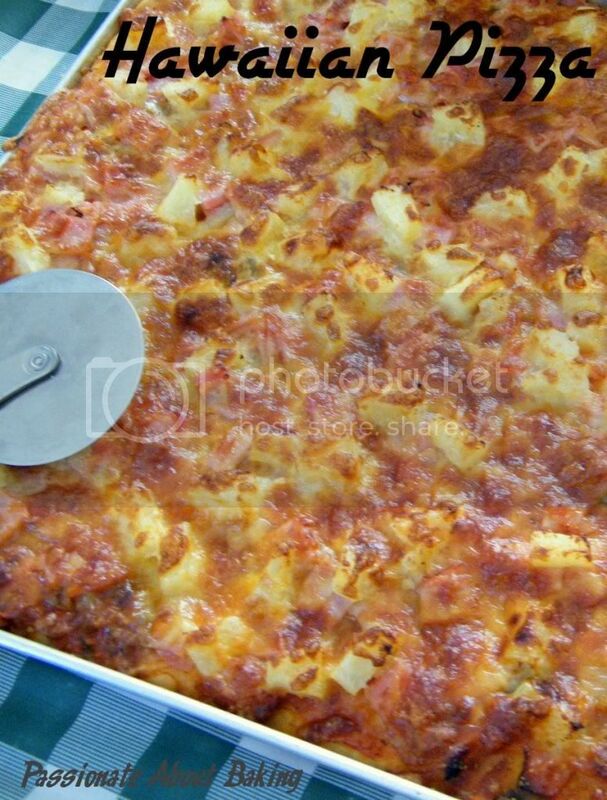 The rice cake is very soft when it's cooked. After it has cooled down, it will become tougher. So do not over-steamed, 45mins will be more than enough. The rice cake on its own taste terrible! It must be eaten with savoury gravy. 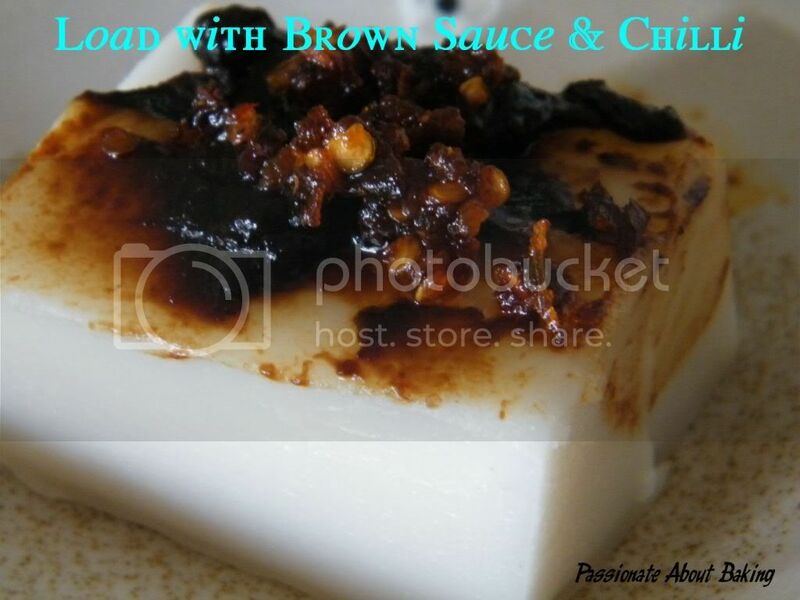 I had mine with the "Yong Tau Foo" brown sauce and HK "chilli oil" and it was very tasty. 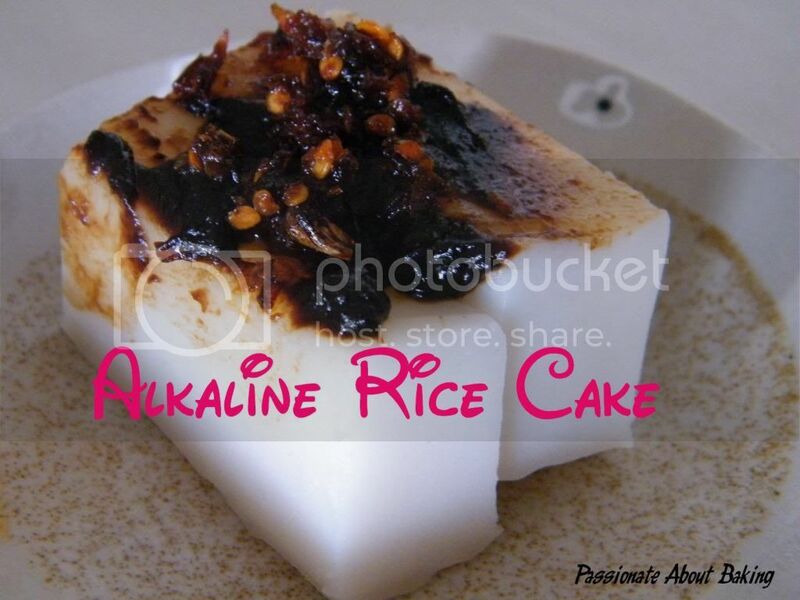 You can served this chilled alkaline rice cake with gula melaka syrup as a nice sweet temptation. Do join us for this Heritage Food Trail. I hope to learn more about other dialect groups and races too! 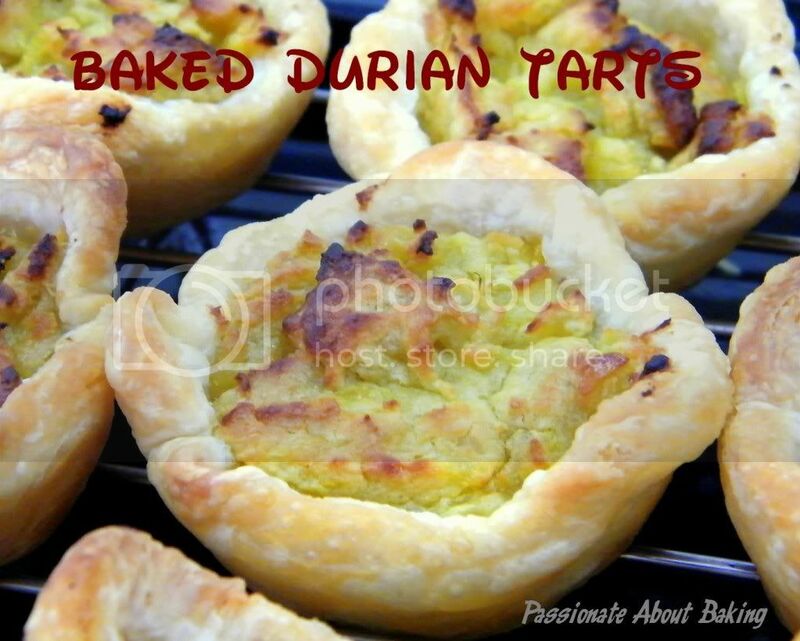 With the leftover puff pastries after making the Portuguese egg tarts, and the leftover durian fillings from the durian puffs I made for the bloggers POP, I decided to do a combination of both! I knew that if I did not use them up quickly, I'll probably keep them until they turned mouldy! The verdict? 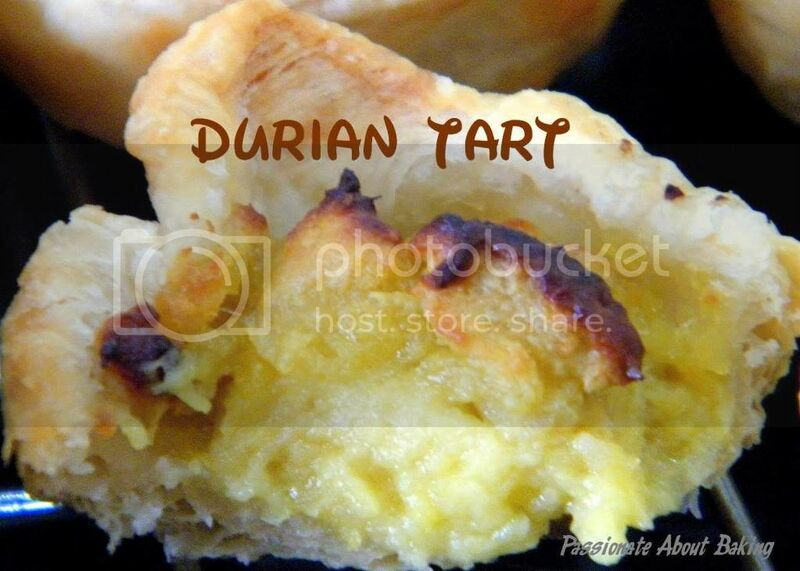 The durian filling tasted really good in the puff pastry crust! 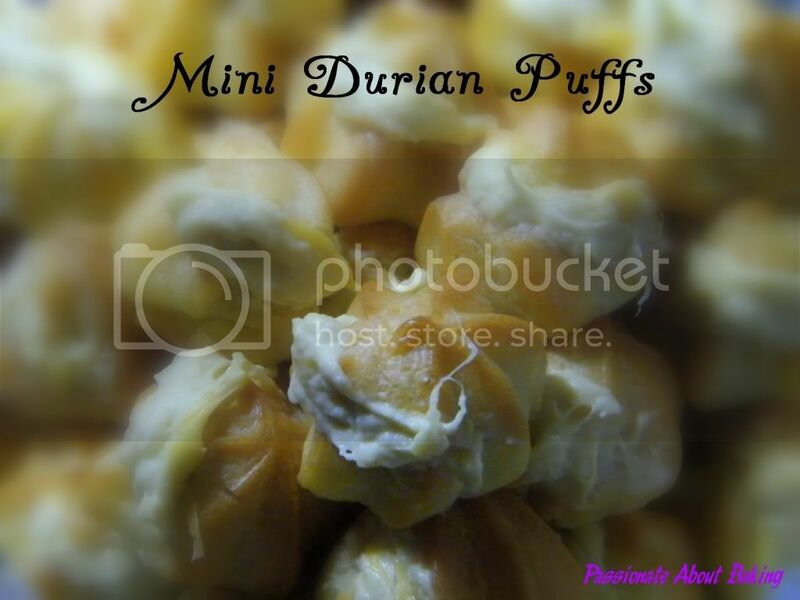 The durian fillings were still soft and moist. 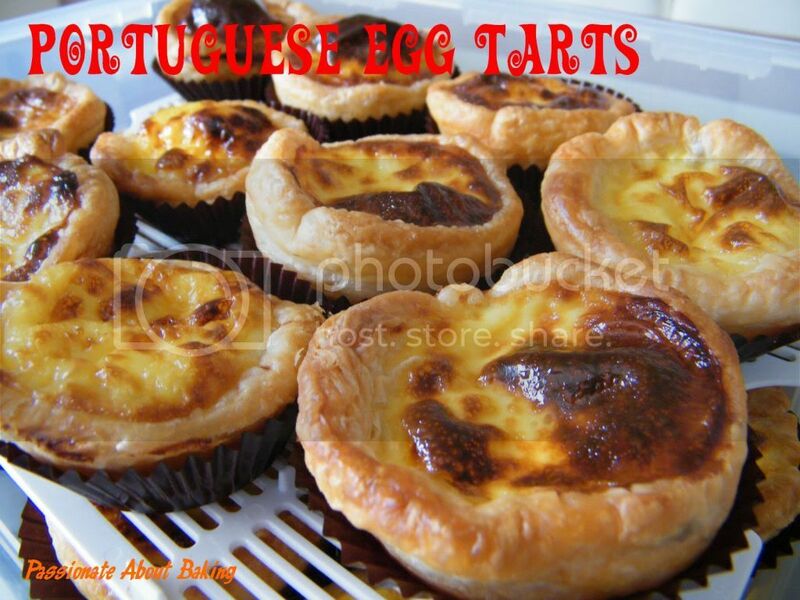 In fact, it's even better than the egg tarts! 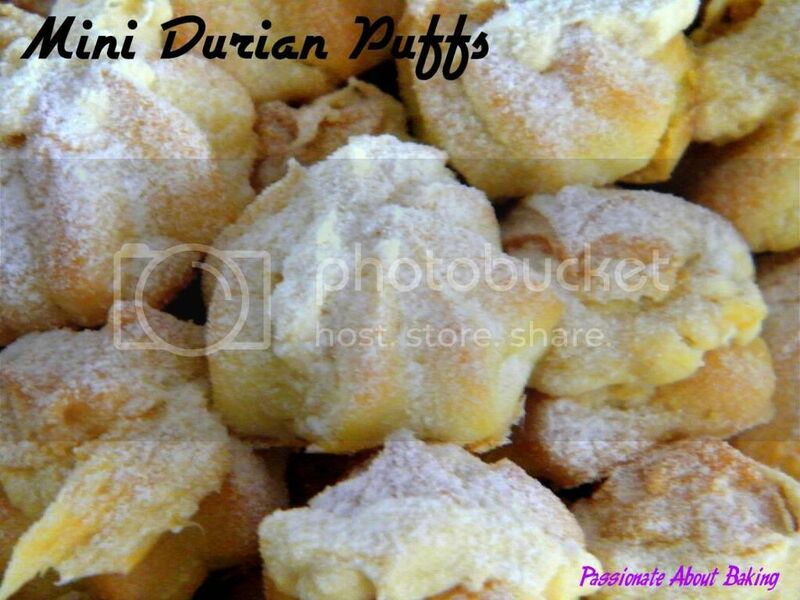 My durian fillings were made for the durian puffs previously. 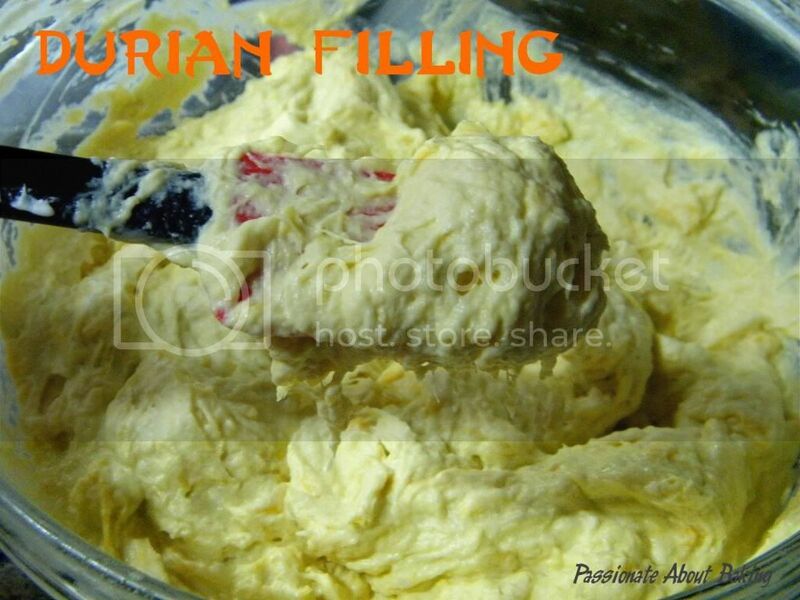 Through my previous experience of making durian fillings, I realised that the most ideal ratio will be 5:1 durian to whipping cream. Measure the whipping cream before whipping. Having this ratio means you get to taste more of the durian pulps, at the same time, the whipped cream makes it creamy. 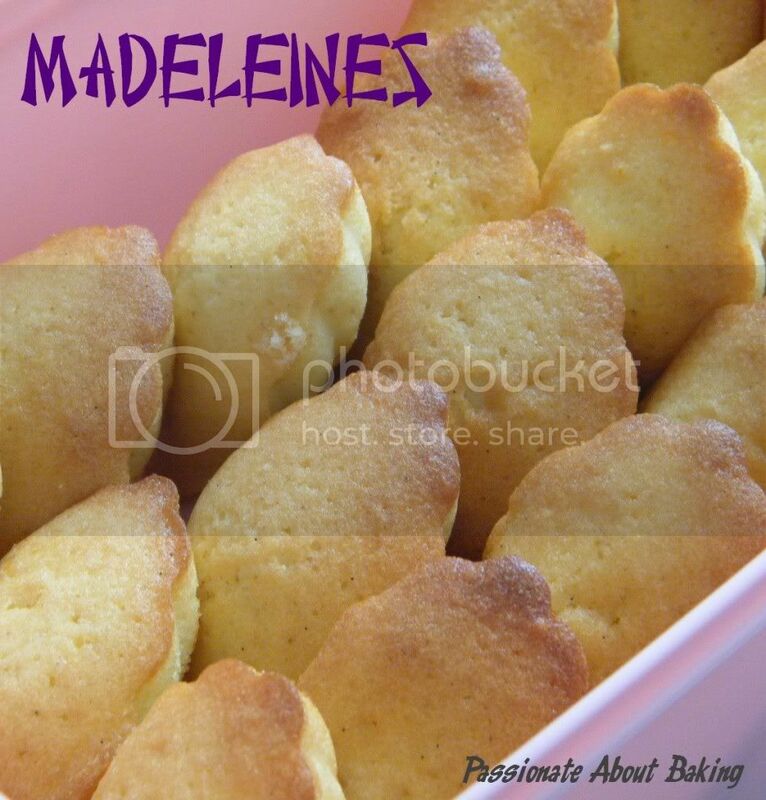 Previously, I used to add honey to the fillings too. However, I found that keeping the real and original taste of the good durians were very important. 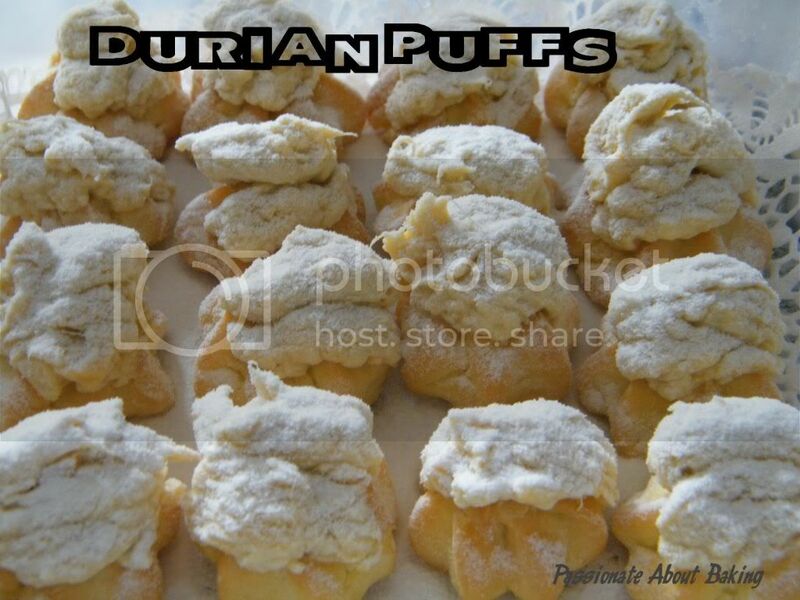 These were the durian puffs which I made for my dad's party two weeks ago. There were 160 mini puffs in all! They were "sold out" within minutes after I brought them out! 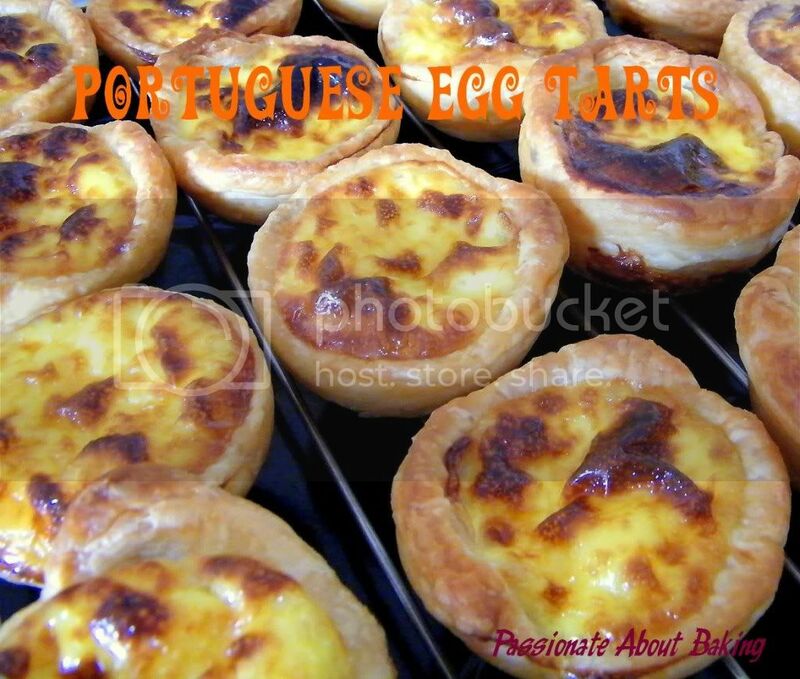 This is my second attempt at making Portuguese Egg Tarts. 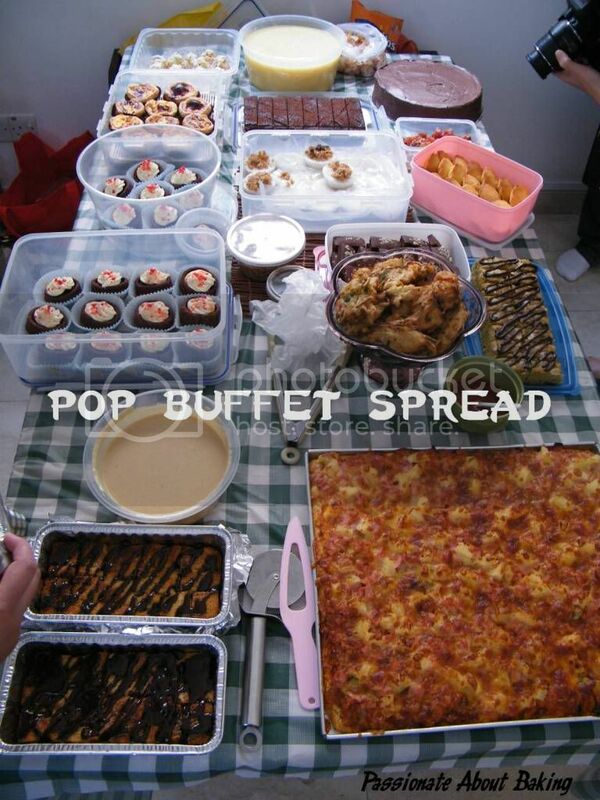 If it were not for some requests by my blogger friends for our bloggers POP, I don't think I will make this so soon. 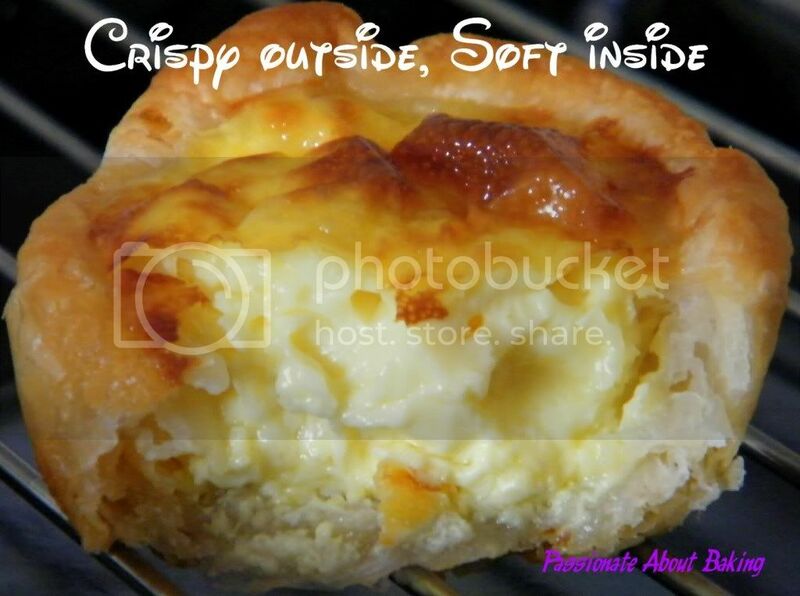 :) The reason was because much efforts were required to make the puff pastry, and I'm not very good at making them! Anyway, I was glad I made them again and my friends gave good comments too! 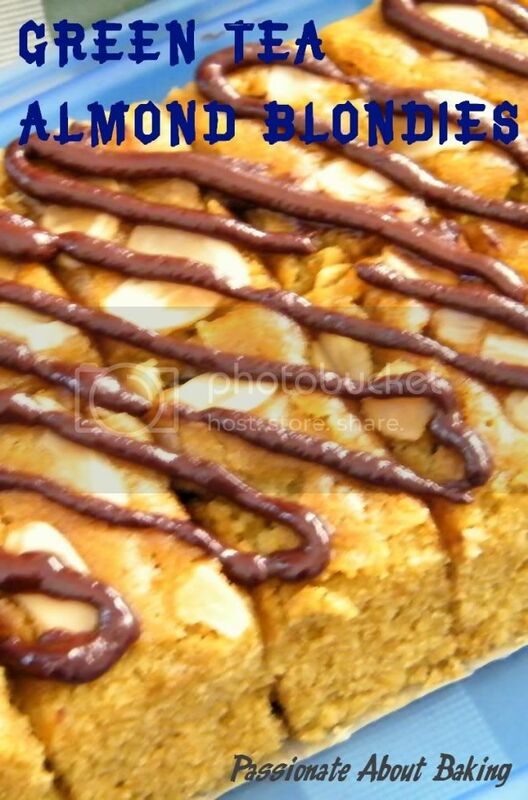 I'll be submitting this to Aspiring Bakers #10: Easy as Pie (August 2011), hosted by Janine of Not the Kitchen Sink. 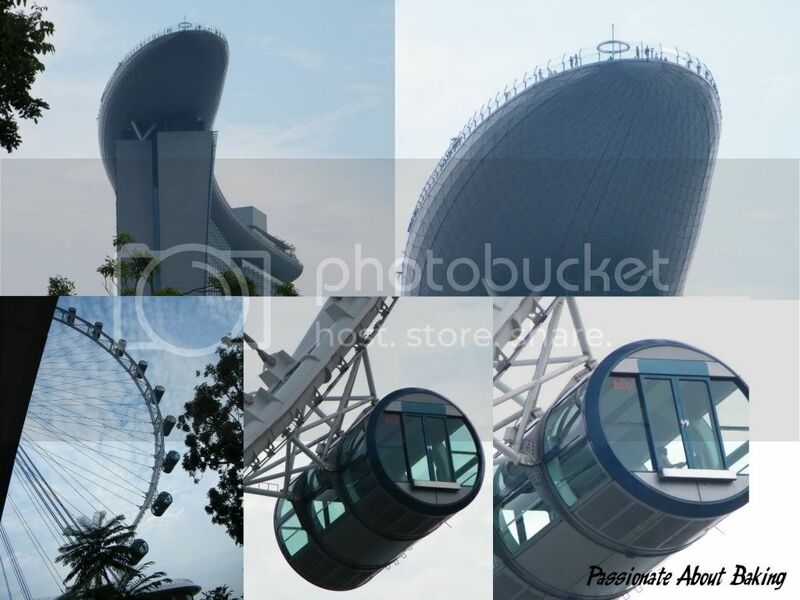 My dear father helped me to get some Singapore Flyer tickets at some corporate rates. 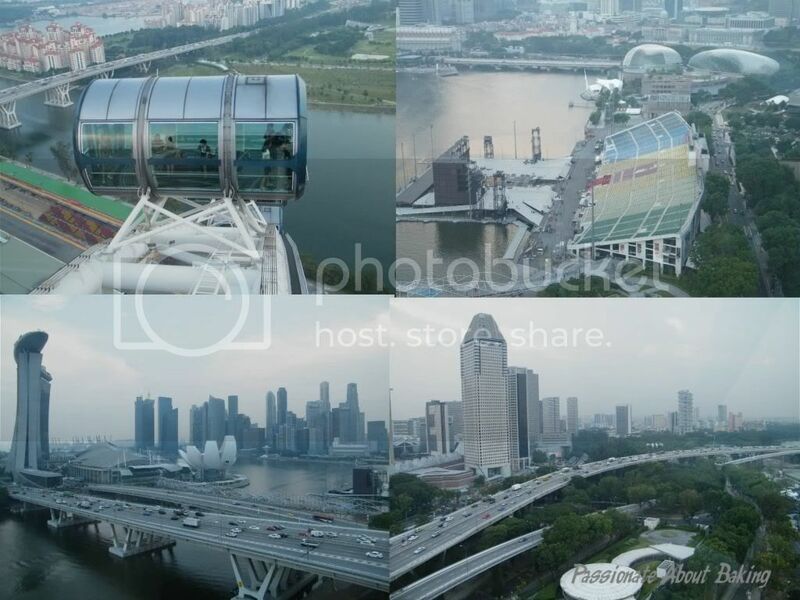 So I decided to bring my children and my parents-in-law to Singapore Flyer since they have never been before. 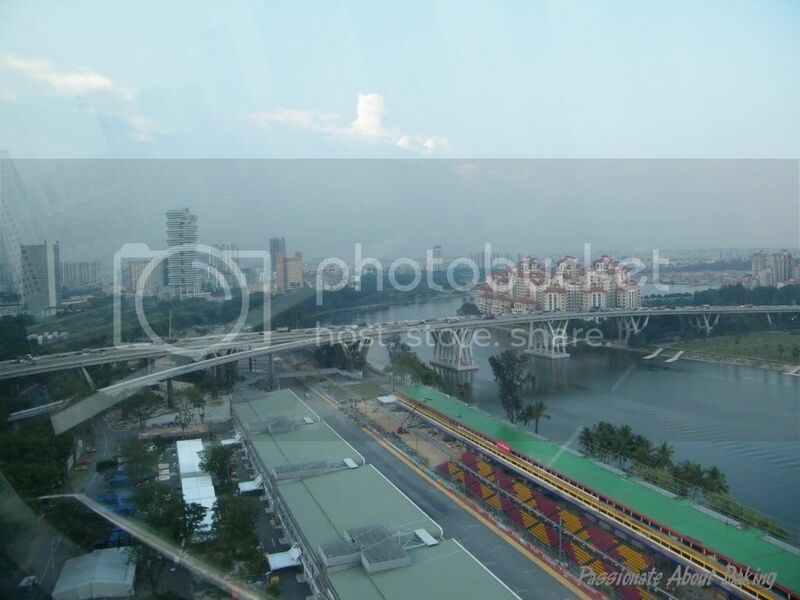 I've been there once about three years ago for my organisation's function. The young and the old alike, enjoyed the ride very much. As for me, I was busy snapping pictures away! After the ride, we explored the surrounding in vicinity before adjourning for our dinner. 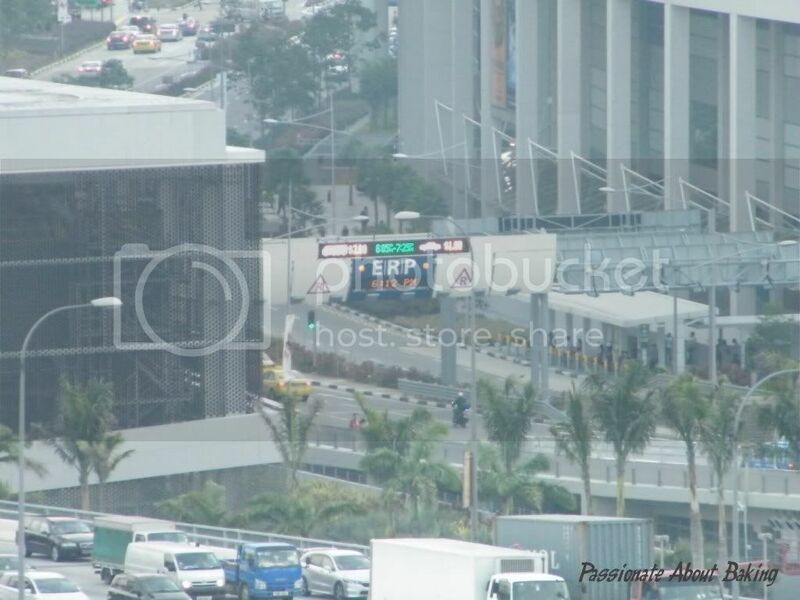 I brought my parents in law to Orchard Central to take the long escalator ride up to the 11th floor. It was quite an experience for them. My children felt that it was fun to take the rides, they enjoyed it too! 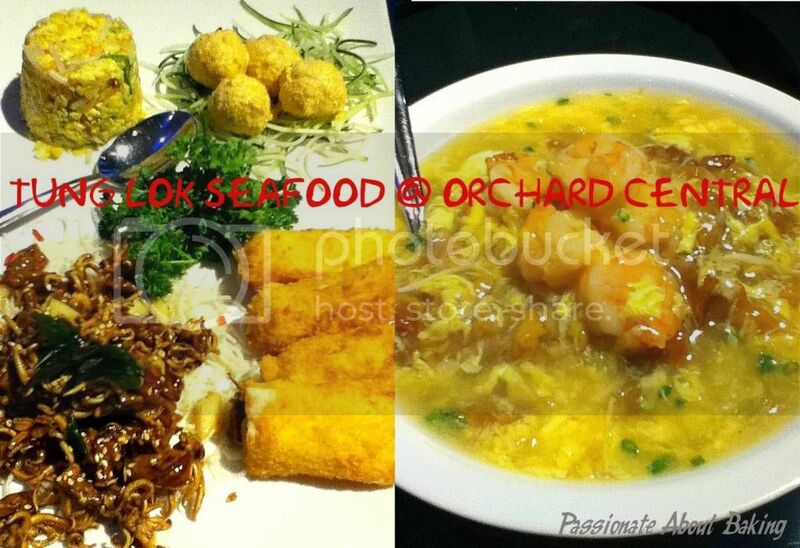 Actually the purpose for bringing them to Orchard Central was to go for the dinner at Tung Lok Seafood. 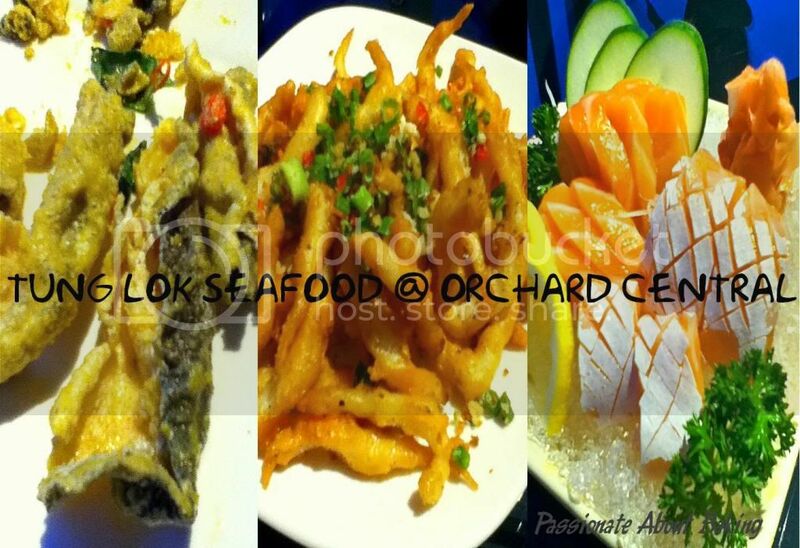 I love their food very much, especially their salted fried salmon skins. As the children were hungry, I ordered two plates of the fried salmon for them, and in no time, the plates were empty! These were the foods we ordered. 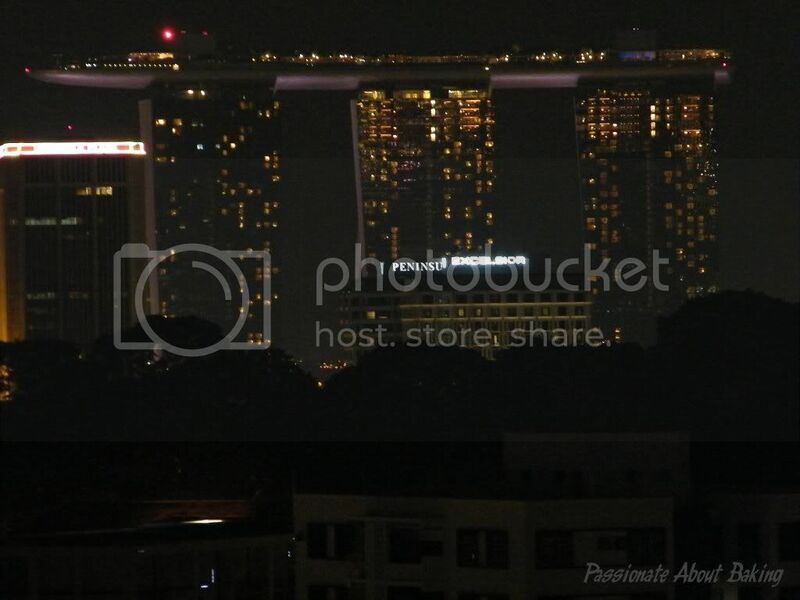 After dinner, we proceeded to their roof top garden. We took some pictures before going home. I'm glad that my parents in law and children enjoyed the ride and the dinner. 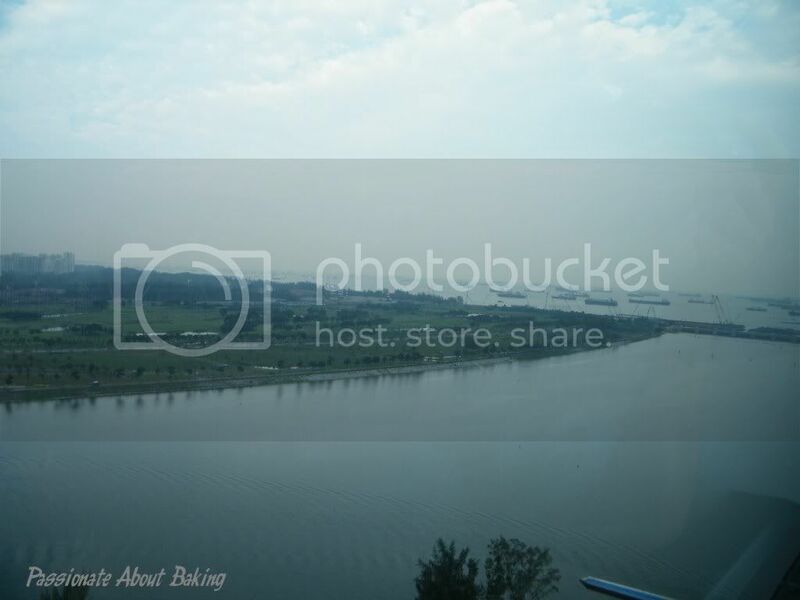 Few months back, Eelin and myself discussed about having a bloggers' party again. It was quite a while back since we had our last gathering. It is always fun having all the food bloggers meet up, baking and cooking, and finally enjoying the wonderful homemade food, plus chit-chatting. I always look forward to meeting up with my blogger friends as I learn from them on the hows, dos and don'ts of baking and cooking! Jo has gracefully allowed us to her beautiful abode as the gathering venue. We usually prefer our gatherings to be at some lovely home as it'll be more conducive, and allowed us to laugh and mingle without restrictions. With the confirmation of the venue, the guests and the food, let the party begin! 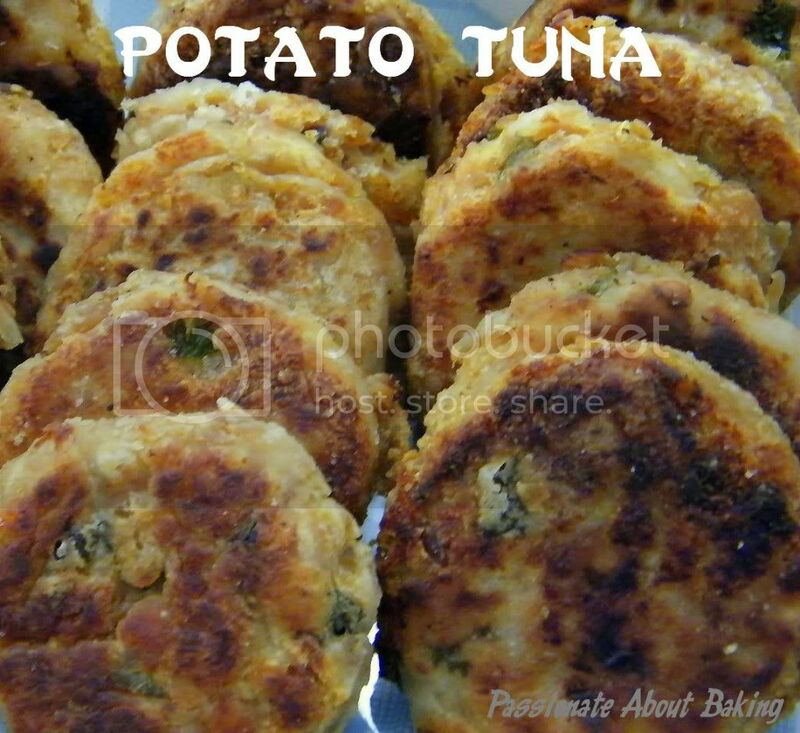 Grace's Potato Tuna. Check out her Bailey's ice cream too! 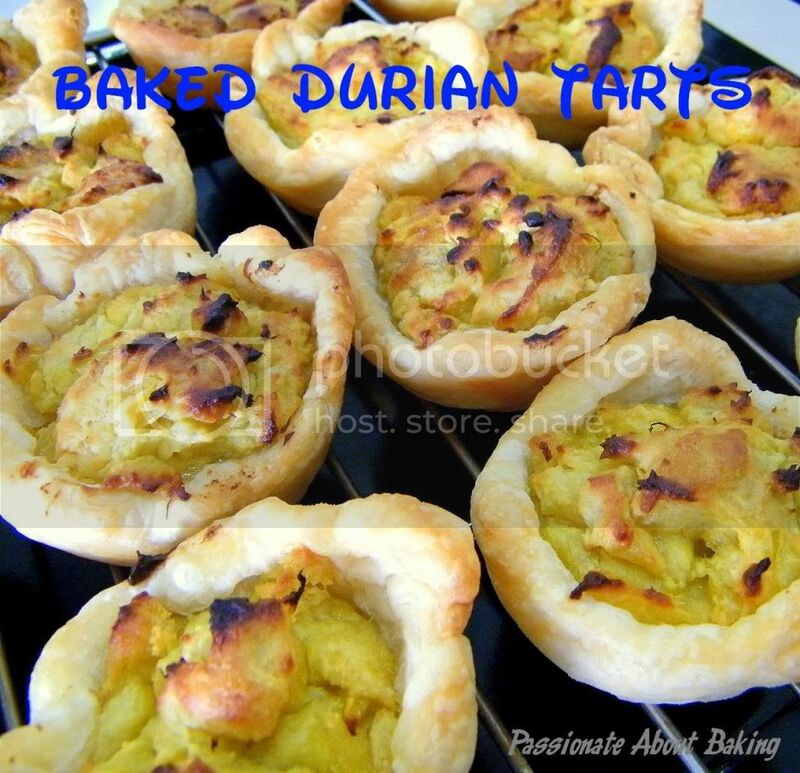 And from my kitchen, durian puffs and Portuguese egg tarts!